Au revior Summer! Thanks for the memories and the sun-kissed tan! Summer in Australia is a beloved time of the year. Let’s talk about the bottomless brunches in the beautiful warmth the longer days provide. As beauty fanatics, we’re aware of the importance of sun protection. Our hair are not only assets to our physical appearance, but plays an important part in protecting the scalp from UV radiation. It acts as a barrier between our skin and the sun’s rays therefore can take a lot of damage if not protected and treated properly! In addition to the daily heat styling, this causes hair breakage creating those nasty split ends that we all despise. And lets not get started on chlorine and salt water! Exposure to the sun, salt and chlorine damages coloured and natural hair, leaving colour looking faded and dull. What was once voluminous, vibrant and healthy, turns dry, brittle and dull. We are saying BYE BYE to summer-fried hair, and HELLO to the softest and shiniest hair of your life! 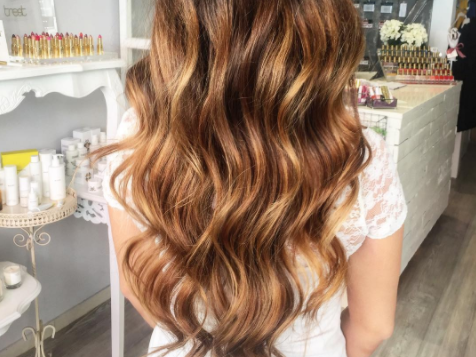 From intensive hair treatments to refreshing dulling colour, if you’re missing your gorgeous locks, hold tight because we’ve got a whole bunch of hair resuscitating tips for you! Before you head to the beach or the pool for a day of sun bathing and water fun. 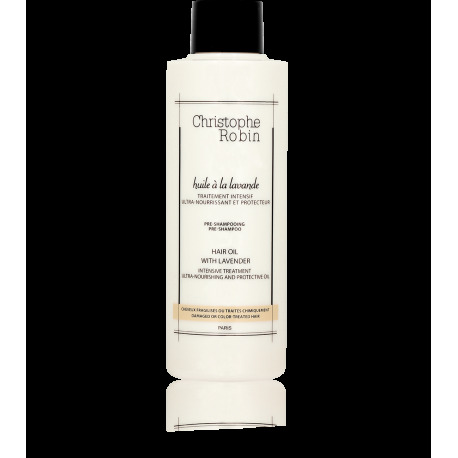 Protect your hair with Christophe Robin Moisturising Hair oil with Lavender. 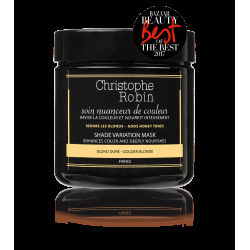 It contains SPF 6 to shield the hair fibres against the sun, leaving your hair sun-kissed rather than turning your dark hair; red, or your blonde hair; brassy. Apply enough to lightly coat the hair, and throw it up in the bun or brush it back for that Kim Kardashian wet beach hair. TIP: for that bangin’ selfie, apply a bit of oil on the collar bone and limps to get your skin looking radiant and delicious! 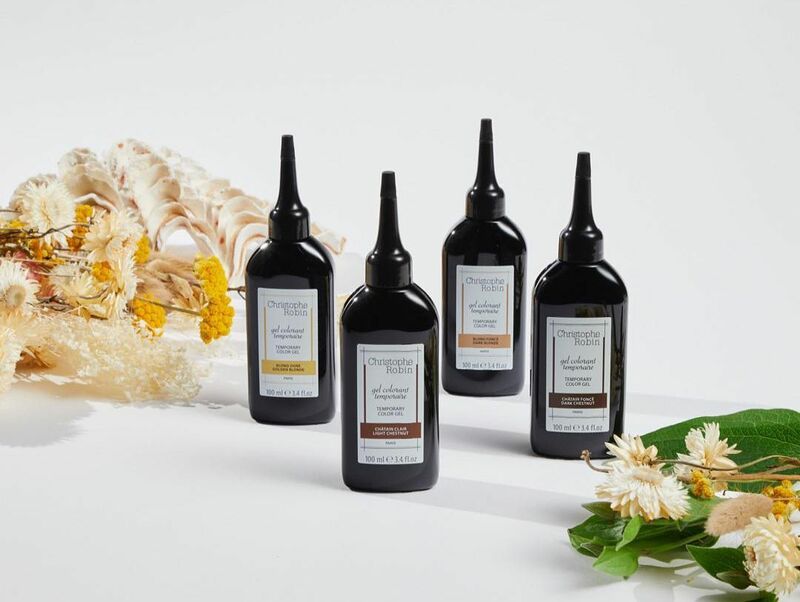 Made up of 97.5% of natural oils, it restores your hair’s elasticity preventing further breakage and protecting your natural shine. 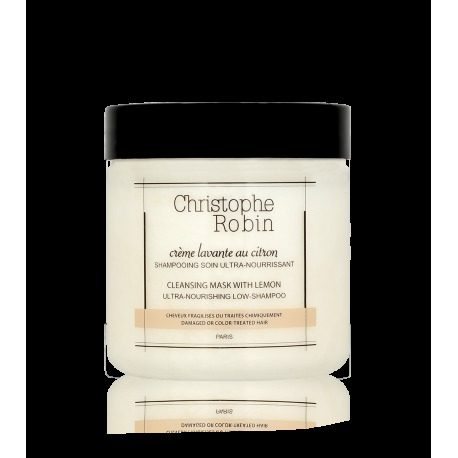 Use as an intensive repair treatment for damaged hair by applying generously to the lengths of the hair and leave in for an hour or over night and wash with Cleansing Mask with Lemon. 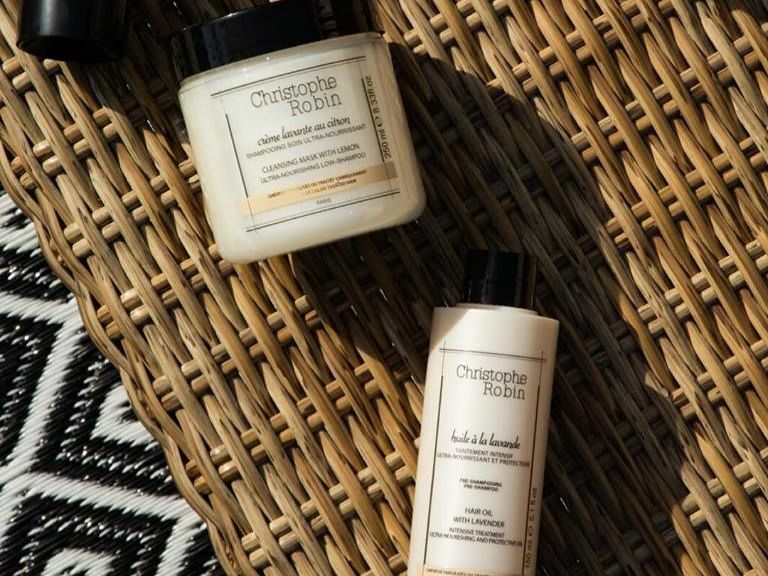 This power duo will leave the most brittle, and damaged hair feeling super healthy and incredibly smooth. 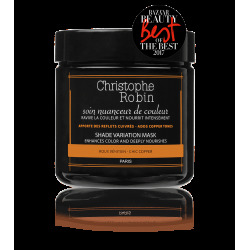 Extend you hair colouring appointments with Shade Variation from Christophe Robin. 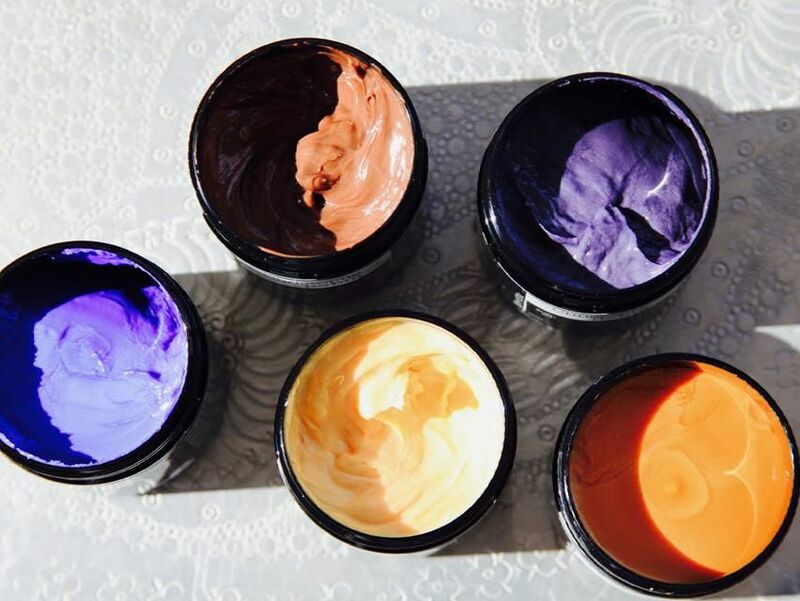 These colour restorative and toning mask deposits pigment into the hair whilst intensively nourishing the hair to leave your hair colour vibrant and glossy! 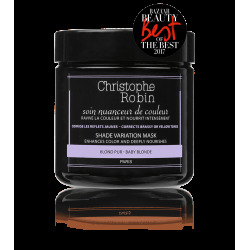 Perfect for neglected hair in need for a colour refresh! Available in 5 colours, shade variation can be left on for 5 – 30 minutes depending on your choice of colour impact. Restores some warmer honey tones. Removes yellowing and bring back copper tones. 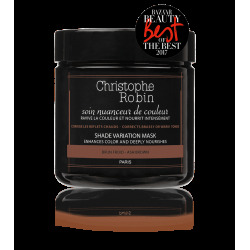 Removes brassy or red tones to bring back a cool, pure brown tone. Add caramel tones, adding warmth to your colour. - You want to target your greys. Temporary Colour Gel is formulated with a minimum of 92% natural origin ingredients without ammonia, peroxide and other harmful ingredients. 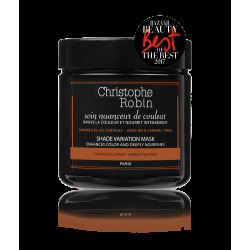 It immediately covers grey hair and roots, whilst adapting to the natural hair colour without modifying the hair’s structure. 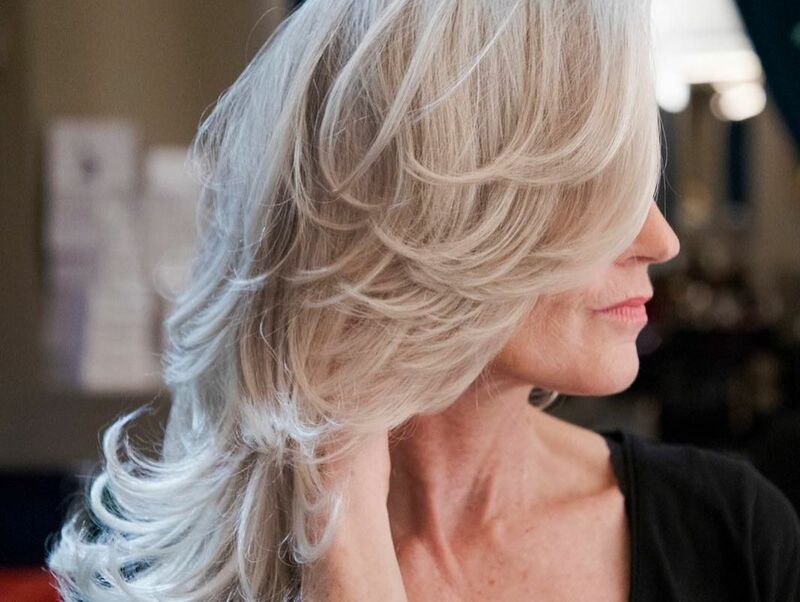 It fades gracefully and evenly after 5 to 7 shampoos.